There are points, as someone who lives in Dayton Ohio, where one feels as though they absolutely cannot relate to people in other nations. “We must take adventures in order to know where we truly belong.” This quote rings true to Erin Scharrer, a true believer that adventure is vital to her soul. It is the belief that where one belongs is not a point or place on a map, a social group or club. In college, Erin joined Campus Crusades for Christ on a trip to Rome and was surprised by the eye opening fact that even in a “Christian nation," a country where the Pope resides, people were still in desperate need of a Savior. Erin decided to meet with Bethany Sibbitt, who was leading a trip to Zambia. Meeting over cups of coffee and tea, a friendship blossomed and Erin decided to join in on a trip to Zambia in December along with Bethany. Their team was composed of many backgrounds, people from the US, Zambia, Military folks, finance people, some from the city, some from suburbia. Quiet people, and, maybe, in Erin’s case, a loud person or two. She remarks at how easily they all came together, working seamlessly and feeling like a true team, family even. Before spending time in Zambia, Erin may have told you that some of the most difficult aspects of serving in a different culture would have included bathing without a shower or not drinking the water. Time spent in Zambia placed Erin in new shoes- being someone who sticks out due to the color of her skin and hair- feeling the shock of being different among the crowds of children and people who were all around. People who would stare and shout “Mzungu!”- their word for white person. Though mostly amusing, Erin notes that deep down it IS hard to not fit in. But Erin knew she fit because her heart desired Jesus the same way the Zambian people did. To worship in a way that ignites your soul and makes you alive- that was where she belonged! There are points, as someone who lives in Dayton Ohio, where one feels as though they absolutely cannot relate to people in other nations. Feeling bad because we come from a place that has an abundance of all things can build a wall that seems impossible to scale. 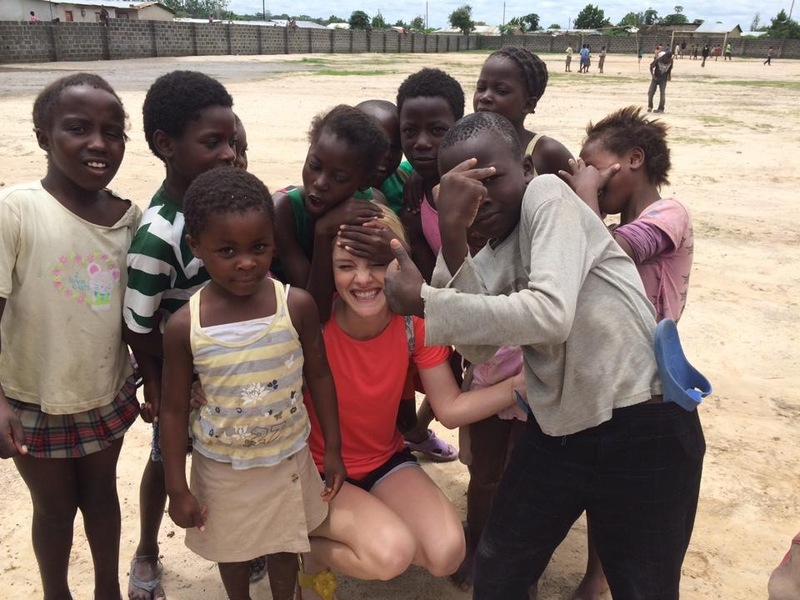 But as Erin spent time with the people of Zambia, it was clearly apparent that she was completely wrong. It was the exact opposite! They had so much! Such a big love for Jesus. A pure and whole-hearted heart for worship. The realization that we have very little in comparison, we easily attempt to replace a desire and passion for Christ with possessions and obsessions. There is nothing to fetter their passion for the Lord, while we find ourselves sloshing through the desires of wanting things and Jesus. As human beings, our hearts are on a constant journey. Always searching, longing for adventure; sometimes it is the thrill of new cultures and far-away lands, sometimes, having a career that challenges and inspires. Other times it looks like raising and supporting a family. Regardless of the outward appearance, Erin is fully assured that as long as we are spreading the love of Jesus, whether it be in Ohio, in Zambia, or at the grocery store, wherever it is we find ourselves, that is where we belong.